The Alan M. Voorhees Transportation Center undertook an effort to benchmark the current state of travel by a unique set of travelers, transit riders who travel to stations by bicycle. 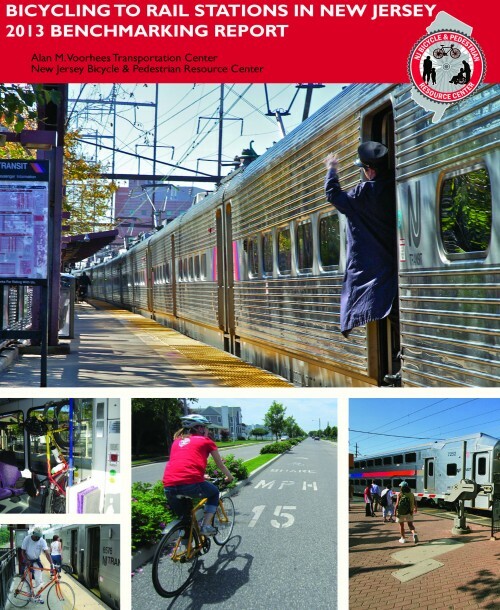 Understanding the needs of current bicyclists and addressing the barriers that prevent potential bicyclists from accessing stations in the state’s expansive network can augment the use of bicycles, and at the same time, increase rail ridership. To fill this knowledge gap, VTC collected data to document the current levels of travel by bicyclists to rail transit stations during commuting hours, to learn about the conditions they encounter along their trips and at stations, to understand their motivations in choosing this means of access to stations, and to learn in more detail the travel behaviors of those who make these kinds of journeys and of their travel more generally. – A survey of bicyclists who travel to stations. Together, these activities benchmark the current state of rail commuters who access stations by bicycle and provide a resource for the evaluation of future conditions.